Ossington Chiropractic and Rehabilitation (OCR) officially opened it's doors in April, 2014. 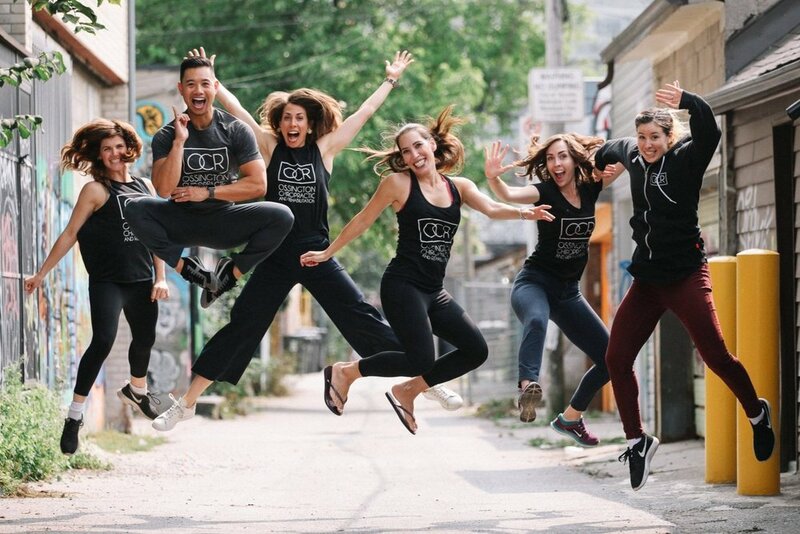 We started as a home-clinic with just one chiropractor and one receptionist, and after only one year, we grew out of our space and moved into 145 Ossington Ave.
Our mission is to humbly serve the Ossington community and beyond, with care and compassion. Our vision is to empower individuals to take control of their health by gaining a better understanding of their bodies by having access to quality healthcare. When you visit Ossington Chiropractic and Rehabilitation (OCR) for the first time, our chiropractor, physiotherapist, naturopathic doctor or registered massage therapist, will provide you with a thorough and comprehensive assessment, taking the time to clearly understand your individual needs and goals. He/she will then educate you about what is happening with your body, explain the course of treatment that you will need, and answer any questions you may have. Feel free to call or e-mail us if you have questions about our practitioners' scope of practice or to determine which practitioner would be best suited to take care of your needs and concerns. We are always happy to answer your questions. Most people think that chiropractors just "crack" backs and necks. What many people may not know is that chiropractors are an integral part of the health care system. We treat many common injuries naturally, without the use of medication. Chiropractors can efficiently assess and treat injuries such as muscle strains or ligament sprains, rotator cuff injuries, neck strains, nerve entrapments, back strains, sciatica, carpal tunnel syndrome, tennis/golfers elbow, etc. As chiropractors, we can manipulate the spine to help decrease pain, increase range of motion and decrease muscle tension. I am full body certified in Active Release Technique (A.R.T) and a Registered Acupuncturist. With these techniques and an active rehabilitation program, most physical injuries can be successfully treated. I specialize in treating dance and athletic injuries but have been working in general practice for the past 12 years.